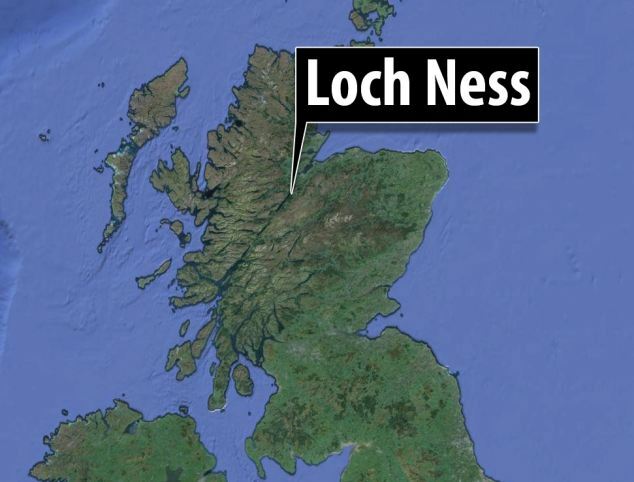 So large that it can be seen from space, it is enough to send shockwaves through even the most cynical Nessie sceptic. 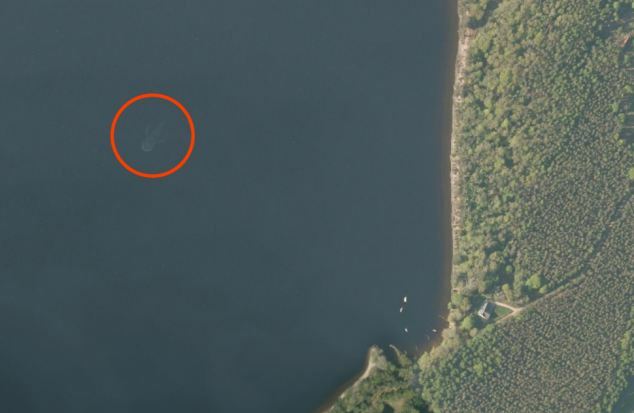 This shadowy form measuring around 100ft long and seemingly with two giant flippers powering it through the waters of Loch Ness was photographed by a satellite. 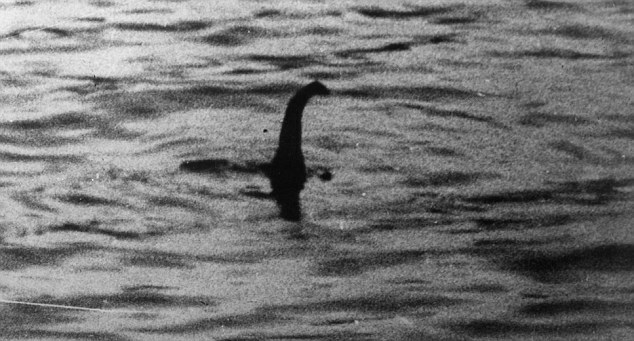 For six months the image has been studied by experts at the Official Loch Ness Monster Fan Club, where excitement is mounting after various explanations for it were ruled out… leaving them to conclude it is ‘likely’ to be the elusive beast. Club president Gary Campbell, who keeps a register of sightings, said: ‘We’ve been looking at it for a long time trying to work out exactly what it is. ‘It looks like a boat wake, but the boat is missing. You can see some boats moored at the shore, but there isn’t one here. 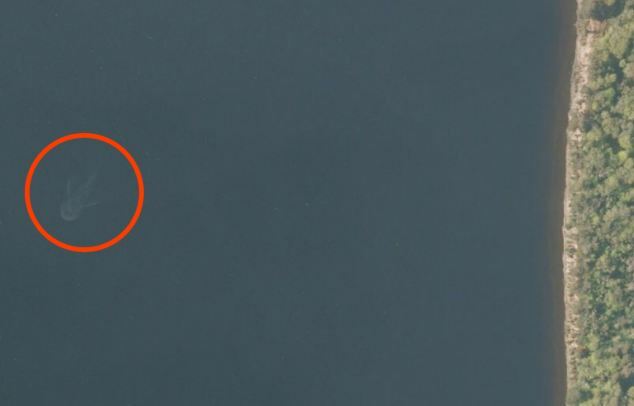 We’ve shown it to boat experts and they don’t know what it is. He said other ‘logical’ explanations – such as a floating log or a seal causing ripples – could not be used to account for the imposing shape either. 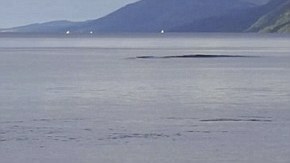 August sighting of mysterious wave the Loch Ness Monster? The image has ended a recent drought in ‘confirmed sightings’ of the creature. In February Mr Campbell announced that no one had come forward in the previous 18 months to say they had seen Nessie – the first time since 1925 this had happened. The club was alerted to the new image by two people who noticed it at the end of last year on satellite pictures used by Apple for its smartphone maps. One of the spotters, Andrew Dixon, 26, a charity worker for the Great North Air Ambulance, from Darlington, County Durham, said: ‘It was a total fluke that I found it. 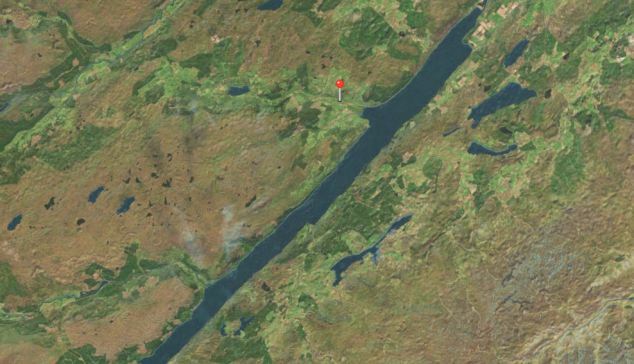 I was looking at satellite images of my town and then just thought I’d have a look at Loch Ness. ‘The first thing that came into my head when I saw it was, “That’s the Loch Ness Monster”. It was the shape of it, I thought it had to be something more than a shadow. Peter Thain, from Newbiggin by the Sea, Northumberland, also came across the same image through Apple’s satellite map app. Both he and Mr Dixon forwarded the image to the club. 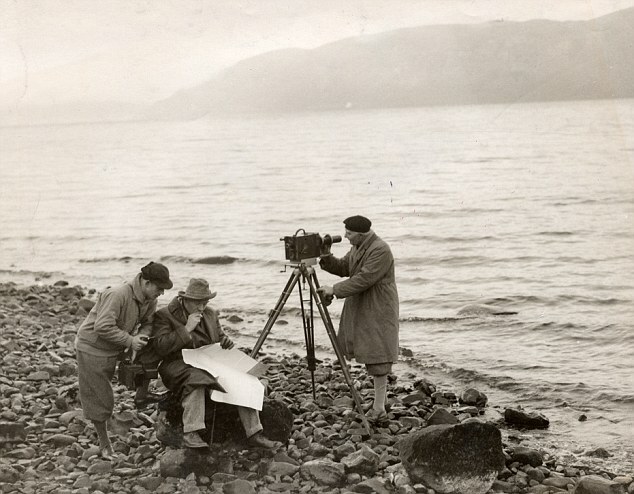 Mr Campbell, 49, a chartered accountant who lives in Inverness, said: ‘Now that we have spies in the skies above Loch Ness, maybe we will get more sightings which will whet the appetite of more down to earth Nessie hunters to come north. 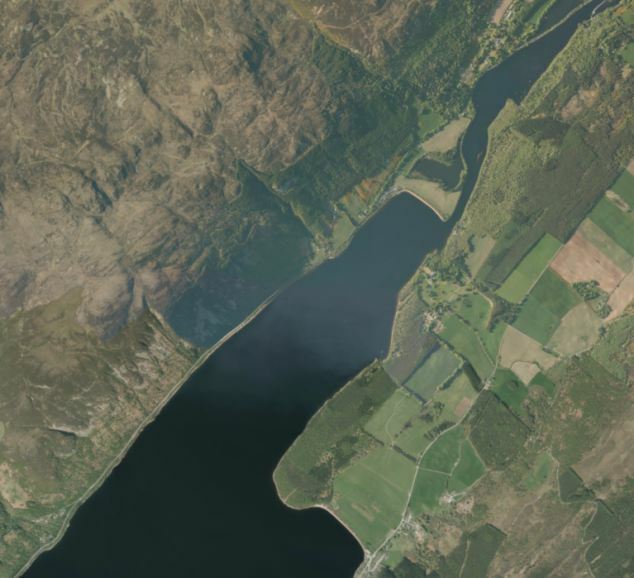 Despite the club’s claim, however, another explanation for the shape seen in the image could simply be underwater currents in the loch. THE LOCH NESS MONSTER: FACT OR FICTION? One of the first famous sightings was in 1933, when George Spicer and his wife claimed they saw ‘a most extraordinary form of animal’ which was 4ft high and 25ft long crossing the road near the loch. The following year, Dr Robert Kenneth Wilson took a picture, in main story above, which is now the most famous picture of the monster, although it was later revealed to be a hoax made with a toy from Woolworth’s. And in 1935, renowned big game hunter Marmaduke Wetherell found a footprint he said was the monster’s. It was later revealed to have been made by him using a dried hippo’s foot of the type used as umbrella stands at the time. 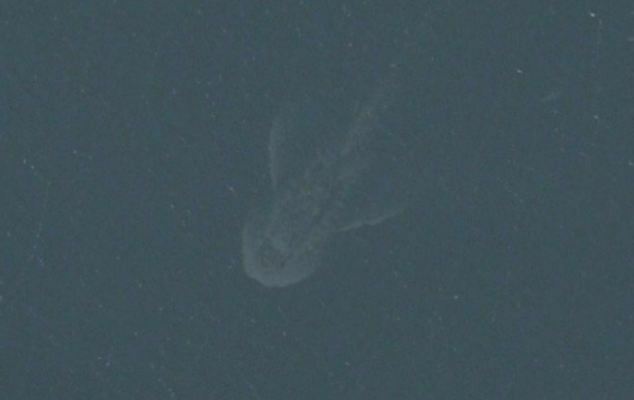 Despite many recording sightings over the years, most have been revealed to be hoaxes and scientists do not give credence to the suggestion that a monster lives in the loch.